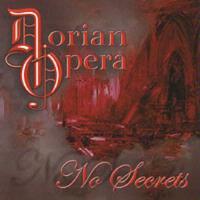 Dorian Opera is a German progressive metal band with some impressive keyboard and guitar talent. No Secrets is their first album. They formed in 2007 in Karlsruhe, Germany. Andrew Roussak, on keyboards, heads the band. His main influences are classical and progressive rock--primarily Emerson and Wakeman. In 2006, he won awards for both the best keyboard player and the best instrumental soloist in The German Pop and Rock Awards. All the lyrics on this album are his. Roussak is joined by Joe Eisenburger on bass and vocals, Oliver Weislogel on guitars, and Harry Reischmann on drums. All of the instruments are fantastically played. Weislogel does most of the composing, although Roussak sometimes helps him out. Unsurprisingly, with the guitarist writing most of the music, the electric guitar is the dominating instrument. The only weakness is the vocals--Eisenburger does fine on the soft songs, but on the heavy songs it sounds like the band ran out of time in the studio and Eisenburger only had one chance to run through them. Despite this, Dorian Opera has some great stuff here, and this really is a good album. This instrumental is a fitting start to the album. It includes confident drums, a fast electric guitar, and an interlude with spoken voices and melodic "ah"ing. Progressive rock and classical influences are evident. Much of the song is a repeated theme, slowly modified each time it's played. It's a very nice number. "Sacrifice" starts heavy. This track is a little dark. Parts of it are mellow and melodic, most of it is hard and not melodic. This is the first time Eisenburger's voice is really heard. Here, he's half singing, half talking. His voice adds an interesting flavor to the music.There is more metal here and less progressive rock. Mean guitars and bass are joined by some incredible keyboards. The vocals are stronger here than they were on the last song, although they're a bit muted. The chorus carries definite hints of Queen. A chaotic bridge spices things up. There's lots of room for instrumentals, and the powerful keyboards contrast well with the heavy bass. Strings serve as the bookends for this song. They are very pretty and very moving, but they don't last long. The song gets heavy quick, and stays heavy. The vocals feel restrained. The drums beat a deliberate rhythm. A fantastic bridge features some mad guitar skills--Weislogel is all over the place. 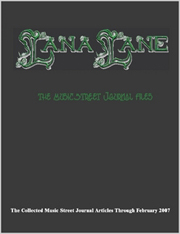 The title track is a technical, fast-moving instrumental. The guitars lead. The multi-layered approach here offers a lot to wrap your head around. It's a great song. Eisenburger's bass dominates here. The vocal line is simple and melodic. Background vocals play a big part here--sometimes singing along with the main vocals, and sometimes evolving into a Queen-like vocal interplay. Keys come in at times to break up the otherwise dark mood. A slow, soft acoustic guitar is soon joined by other strings. This is not a metal song. Eisenburger does much better here with the vocals; the non-heavy style seems a better fit for him. This love song reminds me of some of the slower Queen songs. It's very nicely done. The keyboard introduction is reminiscent of Eternity X. The song turns heavy, and then softens again for the vocals. The music quickly turns heavy again. The lyrics are an attack on violent video games. Weislogel's fast-moving guitar dominates the bridge. This track starts heavy with bass and drums, and is joined by a hesitant electric guitar. They tone things down to let in the vocals, and then come back as equal partners. Bass and drums dominate here, and when the electric guitar is let in it feels like a bright ray of sunshine. A long instrumental section is the highlight of the song. A guitar starts things out, and is soon joined by a fast bass and fast drums. Things are toned down to let the vocals in. Heavy choruses are broken up by light verses. The vocals are pleasant during the light sections, but struggle during the chorus. Here we are presented with a Vivaldi instrumental. This is in the tradition of Savatage/Trans-Siberian Orchestra, and before that, ELP--taking classical songs and transforming them into rock. The band does a fantastic job with this piece. The guitar is especially fantastic. This last track showcases the talent of these musicians; it's a chance for them to show off their raw skill. It's one of the best songs on the album and very cool.